It’s as simple as drinking water every day. You get up, you run, you perspire, and you drink. You repeat the process again and again and guess what, you haven’t moved forward a bit towards your goal? What if we told you we have a solution? One that’s as simple as drinking water. It is certainly undisputed that the acid-alkaline balance of our body is essential for healthy living. The processed and fast-food based millennial dietthat most of us follow, to complement our stressful, sedentary lives, is the perfect recipe for an acidic lifestyle. Thisis eventually bound to cause chronic metabolic diseases and related health complaints because diseases and illnesses thrive in an acidic internal environment. 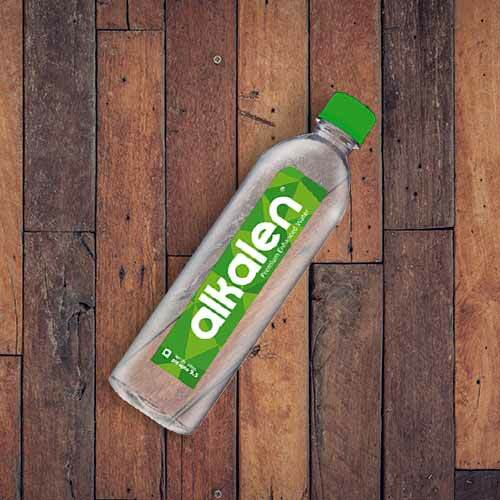 With Alkalen, we are here to change your mantra for health one bottle at a time. It is rich with essential alkaline minerals and electrolytes making it a great-tasting and refreshing water with a pH level as high as 9.5, similar to water found in the purest of pure glaciers across the arctic.